Árpád Geréd is an international IT-lawyer and founding partner of Viennese business law firm Maybach Görg Lenneis Geréd Rechtsanwälte GmbH. Over the last 10 years, Árpád has specialized in consultation in and negotiating of technology-related deals, with a strong focus on Cloud Computing and Cyber Security. His second are of focus is the support of businesses from Eastern Europe, especially from Romania and Hungary. Since 2001, Árpád acted as a speaker on IT- and technology-related topics, such as Cyber Crime, Smart Metering and Cloud Computing in Austria and abroad, also publishing corresponding articles. Among others he is also an author and master editor for the legal part of the 3rd edition of the multinational and interdisciplinary book “Cloud Migration”, to which he has already contributed in the 1st and 2nd edition. In 2014, Árpád has been elected Vice-President Technology of the Commission for Intellectual Property, Technology, Media and Telecommunications (IP/TMT) of the AIJA, the most important international association devoted to lawyers and inhouse counsel aged 45 and under. 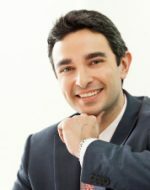 His more recent accolades include “Lawyer of the Year 2014 – Cyber Security”, “Information Technology Lawyer of the Year” and “IT Law Firm of the Year in Austria – 2015”. ‘Information technology’ is the sign of our times and the lifeblood of today’s information society. It is everywhere, all the time – we cannot even begin to think of living without it. But behind the term lies a complex web of different technologies that is constantly in a state of flux, creating problems of a particularly multi-faceted nature. New technologies and concepts such as cloud computing, bring-your-own-device or smart grids need to be used efficiently, but above all legally. For that however specialists are required who, in addition to having outstanding legal knowledge, also have a profound understanding of the relevant technologies. Only then do you have the guarantee that long-lasting solutions can be found for your company in a steadily changing environment. We are a modern full-service law firm for all matters of commercial and corporate law. Our clientele includes both Austrian companies in various branches and renowned international corporations. With professional know-how, many years of experience, maximum flexibility and more than just a shot of creativity, our lawyers apply themselves to your matters. We do not hole up behind paragraphs, but rather set great store by tangible consultation and personal support.